Online Video Producers Caught In Struggle Between Advertisers And YouTube : All Tech Considered YouTube has tweaked algorithms to prevent ads from appearing next to objectionable and extremist videos. But the moves have left YouTube content creators earning less money. YouTube has changed the way it pays video creators. One says his earnings have recently "taken a huge nose dive." It's been lean times for some of YouTube's most popular video producers. In the last two weeks ad rates have gone down as much as 75 percent. The producers are caught up in a struggle between advertisers and YouTube over ad placement. In recent weeks, reports showed ads from major brands placed with extremist and anti-Semitic videos. 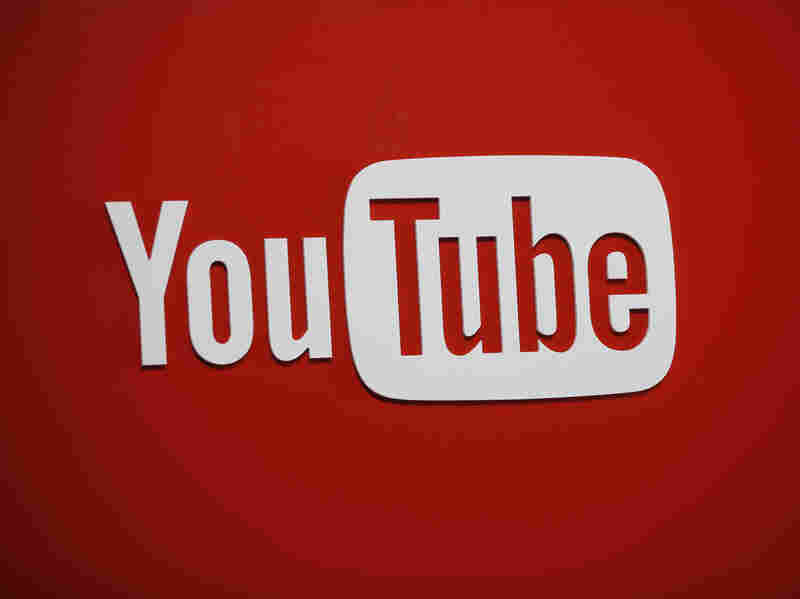 Companies such as General Motors, Audi and McDonald's pulled out of YouTube. That means there's less money for everyone. Now YouTube is trying to convince these companies to come back. And that's meant adjusting the algorithm that places ads. David Firth, a British animator whose dark comedic videos were bringing in a good living, says recently his earnings have "taken a huge nose dive." Firth says to bring back advertisers, YouTube began to stop running ads with some videos. "They've decided that there are a whole new set of rules for what you can and you cannot put an advert on and make money off," he says. "And they didn't tell anyone. They just suddenly started removing people's advert revenue." Firth says ads have been taken off videos that have the word "die" in the title — even if it's someone dying of laughter. It's not just entertainers who are having problems. It's advocates like Real Women, Real Stories, which has nongraphic videos of women who've struggled with problems like physical abuse. "Real Women Real Stories is a platform for women to say actually whatever they want to say, to speak their own mind," says Matan Uziel, the founder of the channel. Uziel was using the money from ads to produce more videos. And then the ads just stopped. Jamie Byrne, a director of enterprise at YouTube, admits their recent adjustments to the ad-placing software aren't working perfectly just yet. He says over time the algorithms will get better at knowing the difference between a site fighting violence against women and one that promotes it. The algorithms "need to take some time to learn where they should show ads, and where they should not," says Byrne. "And so by nature they start out kind of with a smaller set of inventory that they serve ads on." Byrne says one of the ways the software will learn is if YouTube producers challenge a bad choice. YouTube is also making changes that give advertisers more control over where their ads are shown. They can pick categories, like news or sports, and even particular sites. "If an advertiser has a specific content creator or organization that they don't feel they're comfortable with," Byrne says, "they can always tell us that and we can implement those types of controls for them." So if an advertiser has conservative politics, maybe they don't want to run ads with MSNBC videos. The stakes are high for YouTube. According to some analysts it stands to lose as much as $750 million this year if it doesn't bring back advertisers. And according to YouTube there are millions of video producers who have learned to rely on money from ads. Producer Matan Uziel says he understands YouTube is in a difficult position. He's starting to see some ads return to his videos. "I don't hate YouTube. I like YouTube," he says. "I think that because we all [are] very much dependent on YouTube, we have to know how it actually works." For now, it seems like YouTube is trying to figure out how its new system actually works, too.